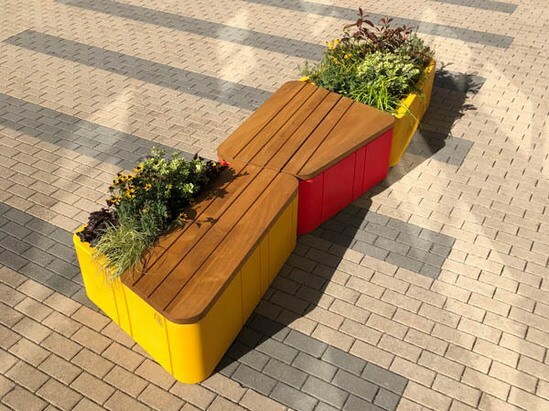 Designed by Furnitubes’ in-house designers, Uniun® offers contemporary solutions for seating and planters for both internal and external spaces. 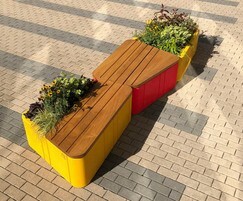 The distinctive trapezoid-shaped base is a tough plastic moulding that is the core of the range, and is fitted with either a base to make it a planter, a hardwood lid to make it a bench, or half each for a split planter and bench. The plan geometry of the Uniun® allows endless layout configuration options, in linear and gentle curved forms as well as grouped clusters.